Few things have changed the mental geography of Britain more profoundly than the Channel Tunnel. The act of boring twin tunnels beneath the English Channel freed the island nation from the vagaries of the weather and rendered the famous headline ‘Fog in Channel – Continent cut off’ forever obsolete. Nowadays, if I’m travelling to Paris from London I do so by train. In comparison with a comfortable train ride barely long enough to finish a magazine, any other means of making the journey seems almost wilfully perverse. Only a masochist with time on his hands would fly. I’m less convinced of the charms of the Shuttle. True, it’s quick – but only if your timing is precise and you manage to arrive at check-in just before boarding. And time won by spending half an hour sat in your car sealed in a railway carriage is time lost again if you have to stop for a meal break once you get to the other side. My scepticism is not purely practical. In an age when getting from A to B increasingly means being herded and processed in sealed metal tubes, the Shuttle lacks something rather more profound. There is no sense of occasion to the journey. 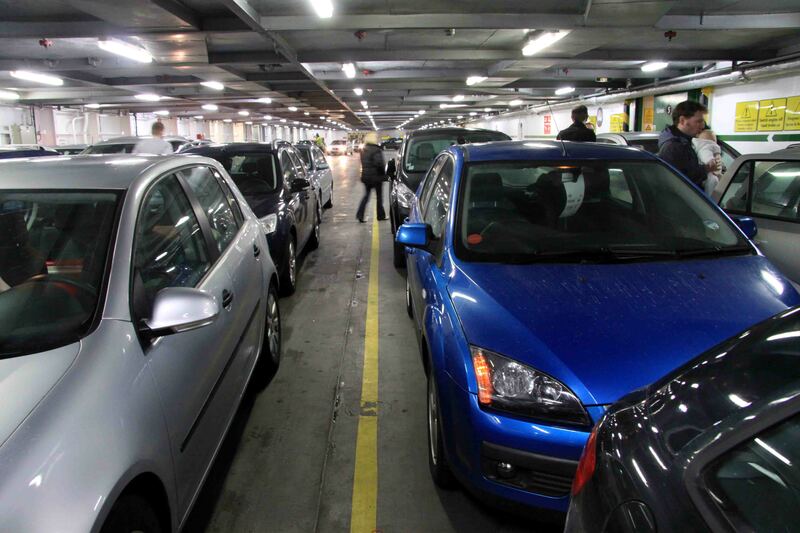 You shuttle from car park to autoroute with neither the élan of the Eurostar nor the drama of a sea crossing. 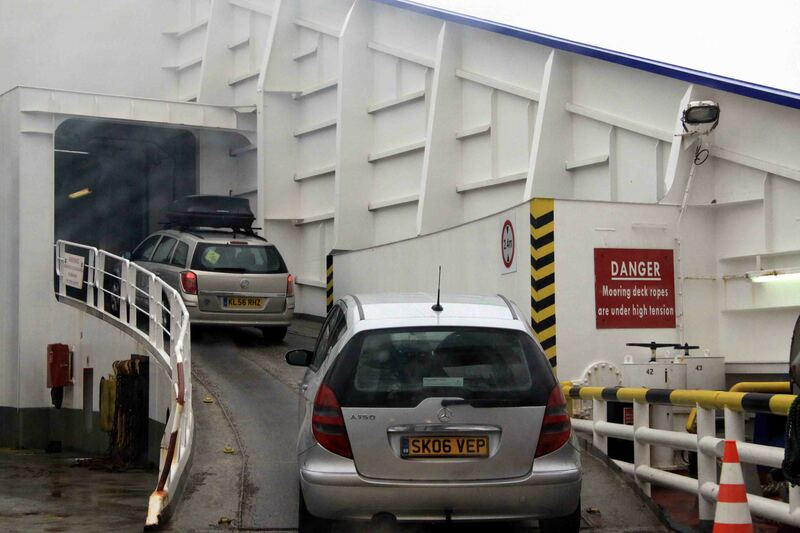 Which is why, if I’m taking the car, I will always opt for the ferry. Crossing the Straits of Dover is, after all, the traditional means of exit and entry to England from continental Europe. Historians believe that in 55BC Julius Caesar’s armies embarked for England from the pretty bay of Wissant between Boulogne and Calais; William the Conqueror’s fleet assembled amid the flat horizons and big skies of St Valéry sur Somme, well to the south. Starting in the nineteenth century it was from beneath Dover’s White Cliffs and its superlative Norman castle that regular steamship services took increasing numbers of travellers to and from the nearest continental ports. The early ships were either passenger or train carriers, but from the 1930s the first rudimentary car ferries came into service and the rest is history, or at least a neverending fuss of boarding cards, stick-on headlamp adapters and bing-bong messages on the tannoy. 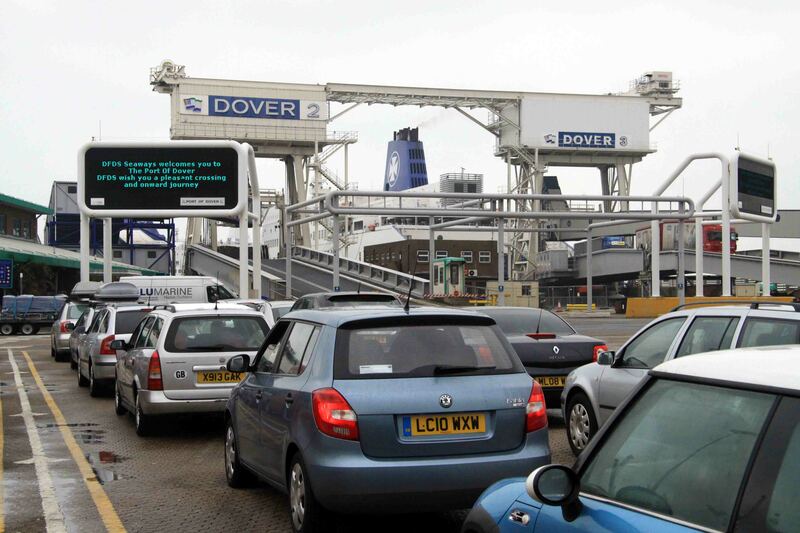 These things – the background noise of a crossing – have become routine for me; I cross the Channel this way at least four times a year. And yet however often the experience is repeated, there’s always a modest thrill to that moment when everything is stowed or locked that has to be, all physical links with the shore are cast adrift and the massive, metal-walled ship begins to move. 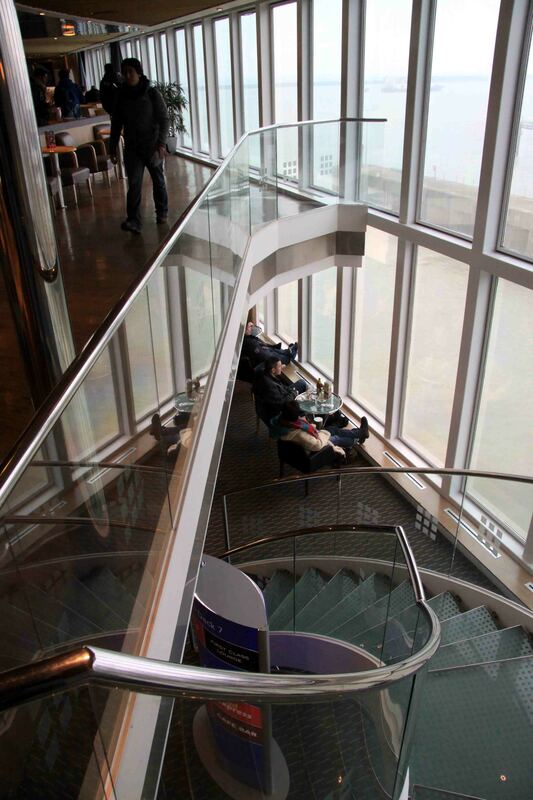 A walk on deck is all it takes to turn a routine crossing into a maritime spectacle: push past the huddled smokers to reach the open deck at the stern and watch as England recedes, France advances and giant container ships follow the sea lanes to Rotterdam or Hamburg. It’s wonderful on a fine day but even better – more elemental and impressive – when the wind is up. Cliffs define the Straits on both the French and English sides. On the French side the breezy heights of Cap Blanc Nez and Cap Gris-Nez are mirror images of Dover’s cliffs, peppered with old German fortifications that underline just how physically close World War Two came to England. The place in British national mythology occupied by the White Cliffs of Dover is odd but undeniable, though whatever Vera Lynn sang no bluebird ever flew over them. I am always inexplicably stirred by the first sight of them when I come back from holiday or an extended research trip, as if there were ever the slightest doubt they’d still be there, as dramatic yet disappointingly off-white as ever. I once spent a blustery autumn researching a guidebook in the Pas de Calais, a little fed up of my own company after the first couple of weeks. It was a strange sensation to be homesick within plain sight of home, that unmistakable line of chalk picked out by the watery October sunshine and forming the horizon as I looked across the Channel from the Boulogne seafront. It might just have been my imagination, but every time I looked the weather seemed brighter on the English side. 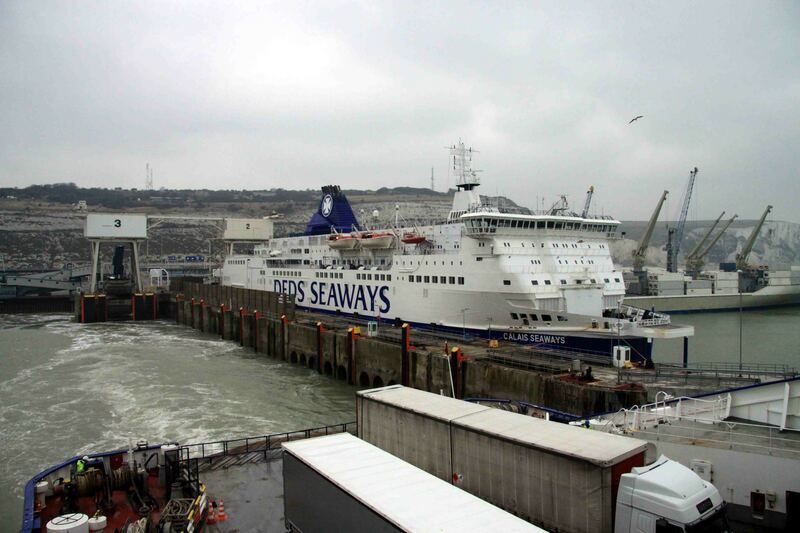 I crossed from Dover to Dunkerque aboard DFDS Seaways’ Dunkerque Seaways early in the spring of this year, on an unseasonally dismal morning in the school holidays. The sky was leaden and threatened the day with rain; as we cleared the harbour, the wind whipped the Channel into a lively swell that got steadily worse as we headed into mid-channel. The ship was close to capacity, and in the bars and restaurants there was barely a free seat to be had. Never have I been more grateful for the modest retreat of first class, where there were comfy chairs in which to stretch out and floor to ceiling windows from which to observe the simmering sea. The rolling and pitching were nothing to disturb anyone who has spent time on a yacht but quite bad enough to upset some of the younger and more delicate stomachs on board, with predictably smelly results by the time we reached Dunkerque. 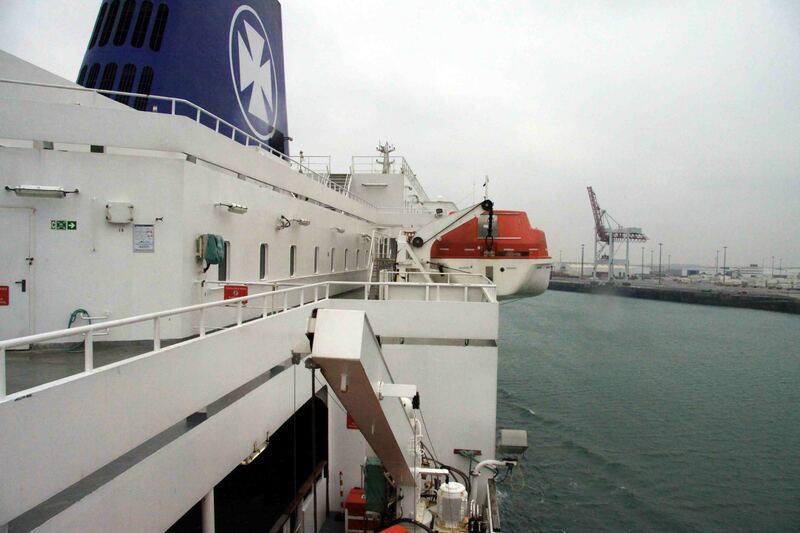 Not even an enthusiastic seafarer like me can talk up the experience of arriving in that French port. It is of course more famous for departures than arrivals: the 1940 evacuations took place from the spectacular sandy beaches on the eastern side of the city – a coast as epic in its scale as the events that took place there, menaced these days by sand yachts instead of Stukas. 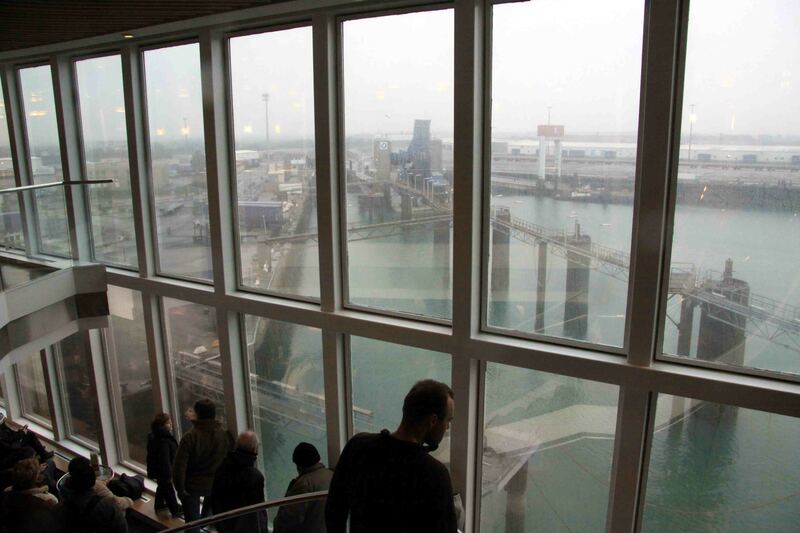 Alas, the ferry terminal is rather less memorably located on the industrial, western side of Dunkerque, with vistas of cranes and containers in place of belfries, promenades or seaside hotels. Drama was reserved instead for the return trip, on a pitch-black April night three weeks later. Just before Dover the captain made an announcement: ‘As you will see, we are in thick fog.’ But there was in truth nothing whatsoever to be seen. Fog at sea is an entirely different experience to fog on land; there are no landmarks, however indistinct, to be made out. No streetlights or buildings, parked cars or hedgerows guide the way. It was easy in this muffling blanket of nothingness to understand how large, well-equipped ships succumb to the calm yet lethal effects of fog, slicing into each other with disastrous consequences for simple want of anything to see. I thought of the Empress of Ireland, and of the Andrea Doria. Nothing so terrible as the fate of those unlucky ships happened that night, but the end of the voyage was haunting in its own way. All at once the lights of the harbour’s eastern entrance emerged from the fog, blurred and dim but welcome and unmistakable; of the harbour wall to which they were attached there was, however, no sign. Once beyond the harbour entrance all hint of land vanished once more; with the harbour lights astern of us the blackness descended again with impressive completeness and we might have been far out to sea instead of a few hundred metres from the town, waiting for our allotted berth. Docking was achieved not by sight, but with technology, patience and sound, as melancholy yet benign sirens lured the ship to shore. Not to meet its doom, but to connect with the loading ramp. 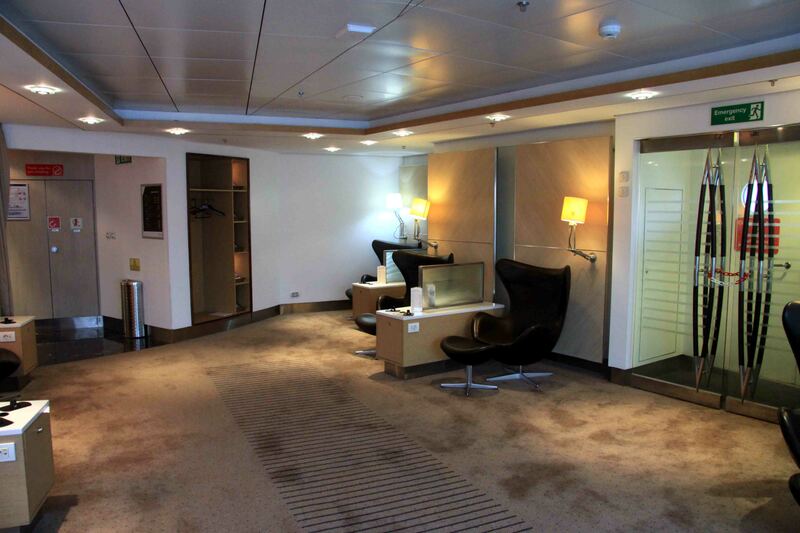 Neville Walker travelled as a guest of DFDS Seaways. Very nicely expressed, Neville. 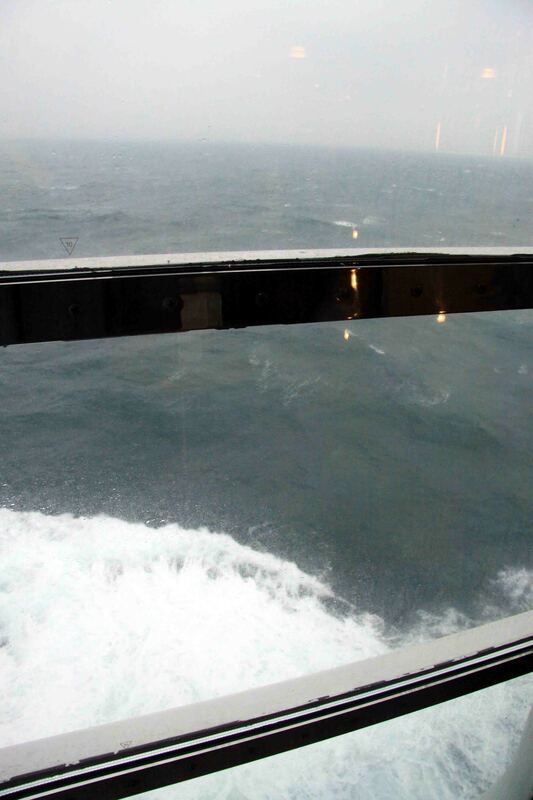 The above-sea crossing is certainly considerably more atmospheric and interesting than the car-train option, once the novelty of the latter has worn off. 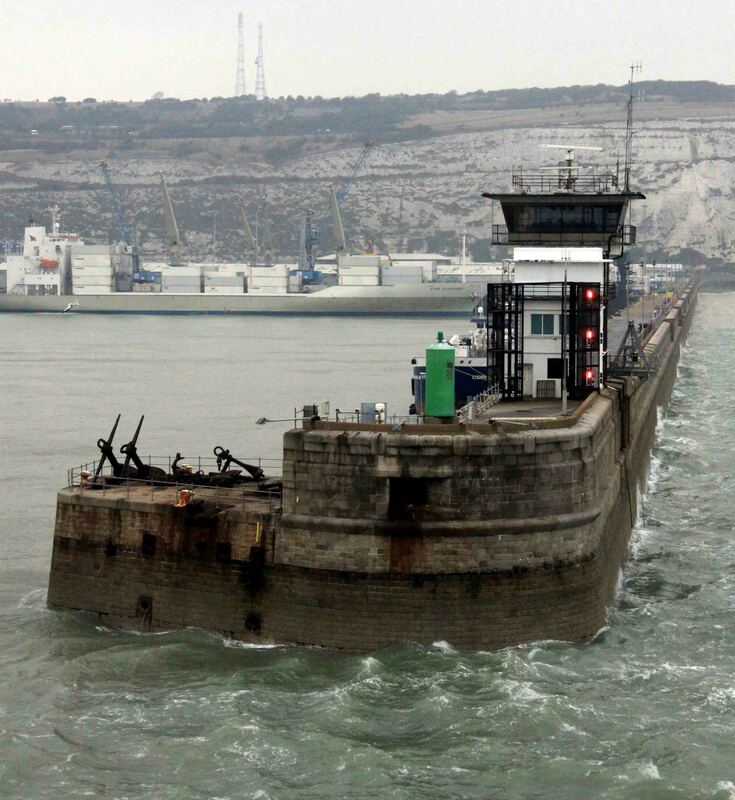 I can readily recall several ferry-borne channel crossings, but of the chunnel crossings only the first couple have any distinguishing features. I like to be aware of the process of travelling, and after the initial excitement of the tunnel has worn off it is, ultimately, just a claustrophobic box full of cars, without a view. I admire the technical achievement, but not the experience. Exactly. Just like commercial plane travel, only more comfortable and, for the most part, shorter (excludes the excellent flight from Papa Westray to Westray, which is excellent and most certainly an experience!). A very fleeting experience, as I understand it.